Fiction University: The Other Side of the Story Made The Writing Life's 100 Best Websites for Writers! The Other Side of the Story Made The Writing Life's 100 Best Websites for Writers! It's been a banner week for good news! 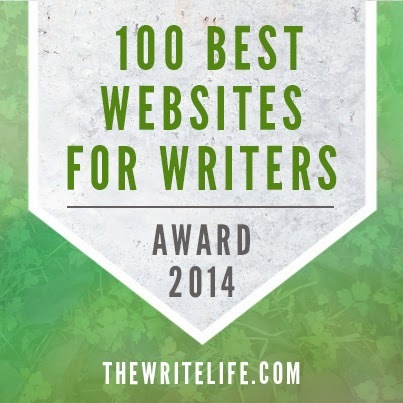 The blog has made The Writing Life's list for the 100 Best Websites for Writers, yay! I'm in very good company over there, so this is quite the honor and thrill. The list is broken down into various types of writing/blogging/publishing, so if you've been looking for some great blogs on a variety of writing and publishing related topics, go check it out. Thanks so much to the gang at The Writing Life! Congrats, and very well deserved. I'd put your blog on a top ten list anyday! Can we use thritto? lol! Congratulations! This honor is much deserved. Congratulations for a deserved recognition. I enjoy and learn from your blog. I think though you should correct the name of the group who put together the list. The Write Life not The Writing Life. Congrats! You totally deserve it. Secrets out now... :) ~smirk. You SO deserve this! Congratulations! Congrats, Janice! Your blog is a wealth of information and advice for writers. You deserve this! Thanks for all your great posts. Congratulations! Congratulations, Janice. I'm proud to say I voted for you. I still haven't found a blog that provides more useful information on a continuing basis than this one. An honor well deserved indeed. Yaaaay! Congratulations, felicitations, and celebrations! Congrats, Janice! You so deserve it. I was excited Literary Rambles made the list too.